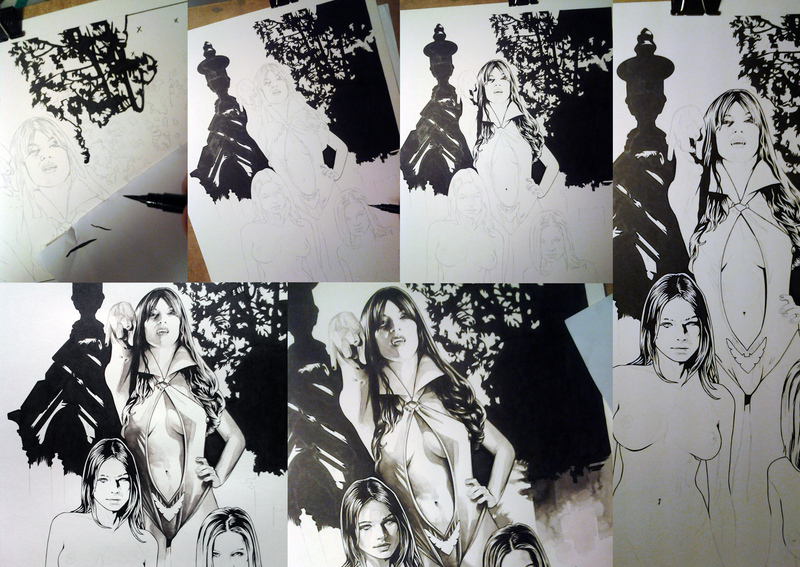 Vampirella with two friends. Size:29.7cm X 42cm. Medium: Black Indian Ink on Daler Rowney 135lbs HeavyWeight paper. Price: 550 euros + shipping. The ink wash is much more impressive on the original piece, as there are more gray tones. Sadly this is as good as it can get in it's digital version.